Will Overweight People be Charged More for Health Insurance? In short: we don’t know. We have been told that obesity cannot be penalized under the new health reform law. There are ObamaCare wellness incentive programs for small business owners to encourage employees to lower their Body Mass Index (BMI), in other words, to lose weight. This can lower costs but, after much research, we were unable to find a direct penalty for obesity. But the law is a little gray depending on how you interpret the following information. According to Healthcare.gov, even though “preexisting conditions no longer preclude any individual from obtaining health insurance, it may not limit how much you will be charged for it.” Hmm… It leaves a little wiggle room for a price increase for those overweight. We will see how states and insurance companies price the new plans in October 2013. Is it Fair to Charge More for Smokers but Not the Obese? 20% of Americans smoke. Smoking is the leading cause of preventable diseases. 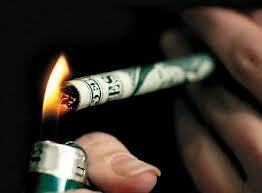 It is estimated that in 2004 smokers cost the United States $193 billion. There is a strong case that since smokers cost more they should pay more. But wait…a 2008 Dutch study in PLoS Medicine determined that the lifetime health care cost for smokers was about $326,000 where healthy non-smokers group cost about $417,000. Healthy non-smokers live on average 7 years more than smokers so their medical bills pile up during those extra 7 years. So you could make an argument that smokers shouldn’t be changed a penalty. Obese People are Definitely More Expensive…Right? The same Dutch Study found that since obese people also don’t live as long as their healthy-weight counterparts, their total lifetime health cost was $371,000. That’s $46,000 less than non-overweight individuals. Well now I’m confused. When will it be known if Weight is a Factor in the Healthcare Exchange? As this law is still being fine tuned there is not an answer to satisfy this question. It is unclear if BMI will be tallied in as part of a premium, a penalty, or will not cost the individual more, but Americans more as a whole. We will be updating this information as the federal government, state governments, and private insurers work out the details of these plans. To learn more about smoking or weight related penalties contact Medicoverage.